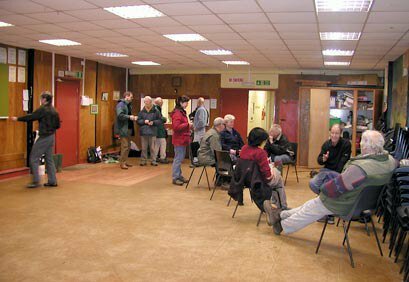 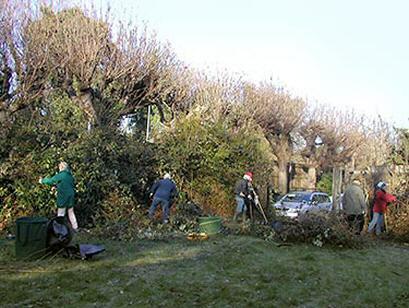 A bramble bash took place in the grounds of our meeting place in ROVSCO Hall, Snaresbrook on Friday 2nd of January 2009. 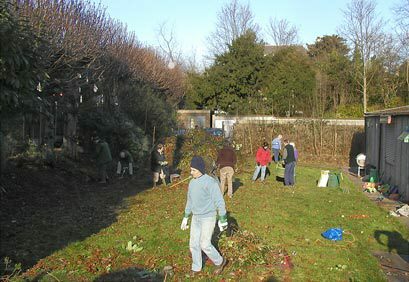 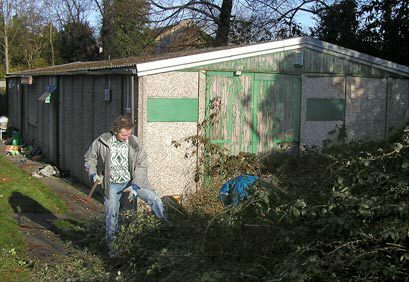 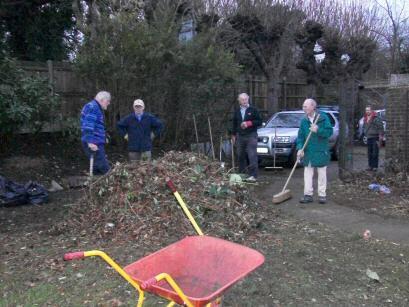 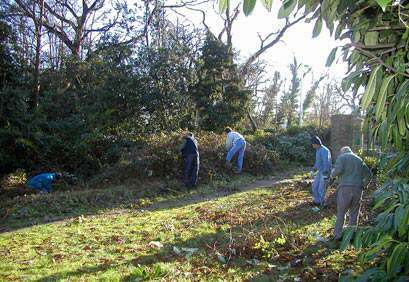 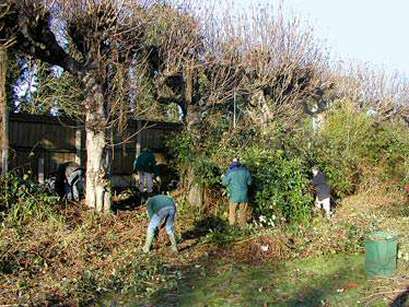 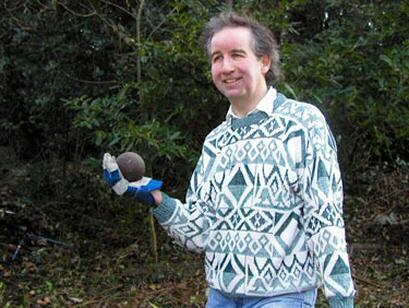 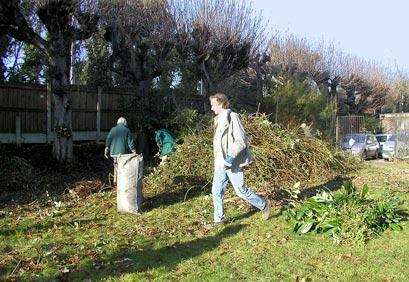 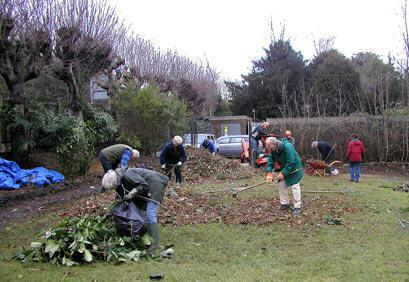 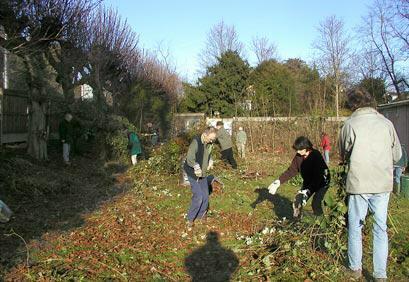 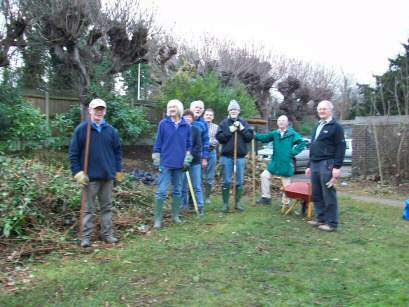 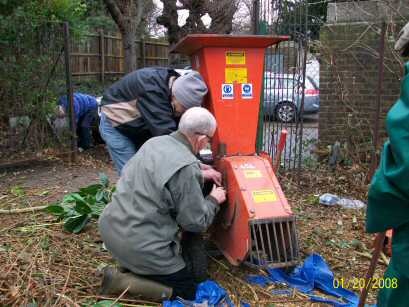 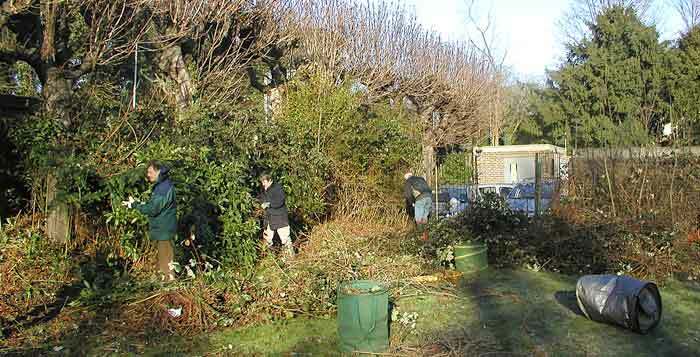 This was to clear the extensive growth of brambles and other vegetation that had grown up in the grounds. 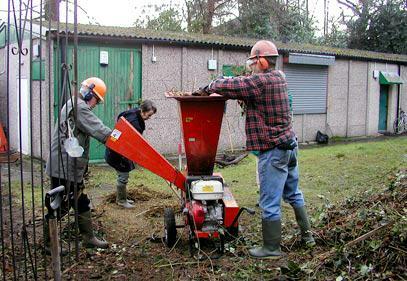 Ending the day with a massive pile of waste material, we hired shredders to complete the task on 20 February. 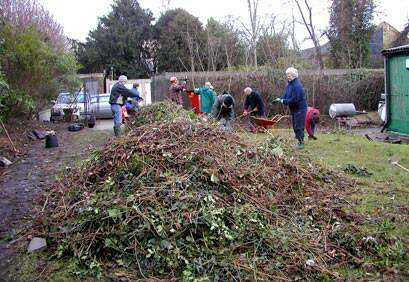 The piles of waste vegetation remained for a while on the lawn of the hall until we could hire an industrial shredder.